Scottish Terriers were originally bred to hunt and fight badgers. Therefore, the Scottie is prone to dig as well as chase small vermin, such as squirrels, rats, and mice. Territorial, feisty dogs, they can make a good watchdog and tend to be very loyal to their family. The first written records about a dog of similar description to the Scottish Terrier dates from 1436! Scotties are territorial, alert, quick moving and feisty, perhaps even more so than other terrier breeds. Scottish Terriers one of the more successful dog breeds at the Westminster Kennel Club Dog Show with a recent best in show in 2010. The Scottish Terrier is a compact, well muscled dog with courage and attitude to spare. Popular in television and movies, see what makes these little dogs so wonderful. Looking for a Scottie Puppy? Check out our Puppy List of available puppies from our Breeder members. Check out our list of our member breeders. All Breeders follow a strict code of ethics to ensure only the best puppies are produced. If your looking for a puppy, this is where to look. The Scottish Terrier is a small, compact, short-legged, sturdily-built dog of good bone and substance. Their head is long in proportion to his size and has a hard, wiry, weather-resistant coat and a thick-set, cobby body which is hung between short, heavy legs. These characteristics, joined with his very special keen, piercing, "varminty" expression, and his erect ears and tail are salient features of the breed. The Scottish Terrier's bold, confident, dignified aspect exemplifies power in a small package. 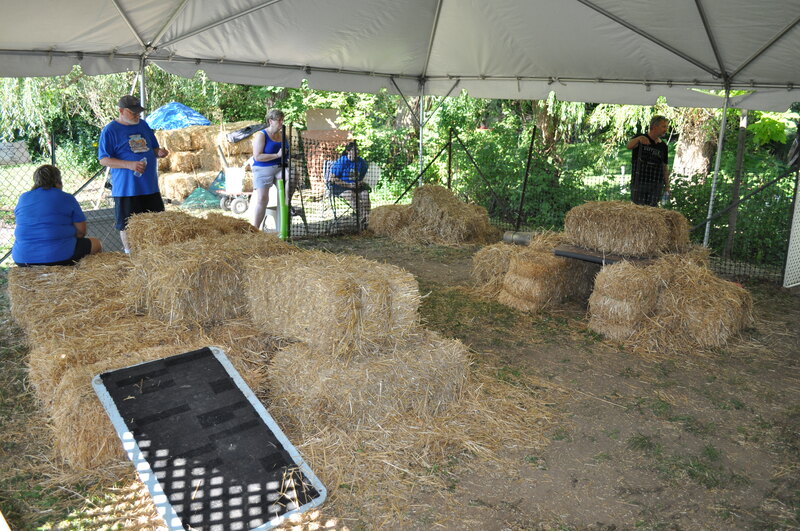 Check out pictures of the Barn Hunt event held in Terra Cotta Ontario by clicking the image to the right. 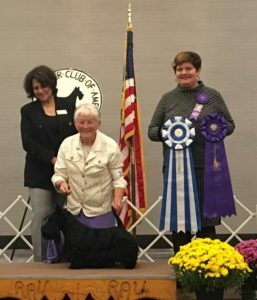 Scotties participate in all types of events and activities include Versatility, Conformation, Earthdog, Barn Hunt and More! There are 2 new CKC sanctioned activities for Scotties which are Scent Detection (Coming January 2019) and Sprinter!